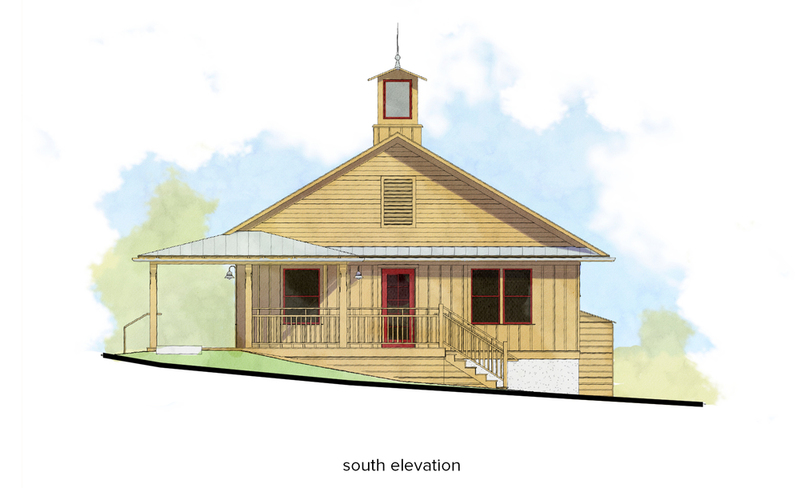 STREAM Collaborative designed the first commercial building at EcoVillage at Ithaca. The Gourd Workshop is a 900sf workshop for the cultivation, harvesting, and processing of gourds from vegetable to art. The building features locally harvested and milled lumber for both the structure and finishes. The foundation was constructed of insulated concrete forms. Exterior walls were double staggered studs on a 2×8 plate with dense packed cellulose. 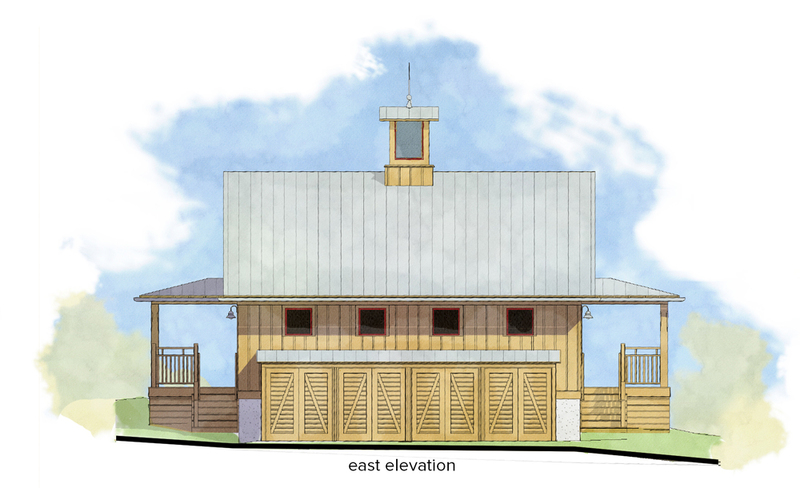 The building features a cupola and a wrap-around porch providing a variety of shady and breezy places for the artist/client to work both inside and out. This workshop is part of the greater co-housing development EcoVillage Ithaca.